The new album is available for download on bandcamp on Christmas Day. I know it is a present I’ll be opening first. Here are some answers from Steven. “We are hugely appreciative of the support we have had from the radar folks and others like Ally McCrae, Vic Galloway and Hallina from Glasgow Podcart just to name a few. The Olympic Swimmers (in a previous post) cite you as a band to watch for. I’d be interested in your take on them. Personally, I think they are one of the more accomplished and exciting acts to emerge of late. “It took ages for the album to come together in truth, I’m glad it did though as a few new tunes appeared throughout recording and we had time to do exactly what we wanted. Recording the album was pretty miserable in some ways, we had no money, our friend Robin recorded it as a favour, we paid him peanuts, so we had to arrange recording days around his schedule. He did it as a fan of the music which is unbelievable. It took just over a week in days in total, but spread out over a year. Having a record in your head unfinished for that amount of time is psychologically unfavourable to say the least. Saying that, I miss going up to Dundee to hang out with Robin and the band in the studio, he did a better job on the record than we could have imagined in our heads at times. I think his results speak for themselves. As for an unexpected innovation, not Per se, 70% of the time everything was quite well planned in advance before we recorded, like the record was a wee film with storyboards but the remainder of the time we were pretty much throwing things against the wall to see what stuck. For instance, a lot of James parts on ‘Slowness’ were improvised on the day we got a hold of the Rhodes piano, I love that part too. We have decided to put it out ourselves for a few reasons, one is that the music industry has changed so drastically in the last few years, we really aren’t sure if we even need to be apart of it in a conventional sense. Another reason is that as I mentioned it took ages to finish the record, people have been asking when it’s coming out for the best part of the year, we kind of owe it to them. Also we don’t have a manager, label or promotion people, we have done everything ourselves to this point, why not just do the last bit too. Is there another Scottish band that you could point out to us as being worthy of being followed? This is a bit of challenge question in that we are fairly likely to say ‘well… yeah”. I’m excited to hear the new ‘RM Hubbert’ record, that’s out on Chemikal Underground soon. there’s tons more. Oh yeah, Olympic Swimmers obviously. I’m starting to sense that Christmas time in Scotland is a very musical event. Are you participating in any special shows? 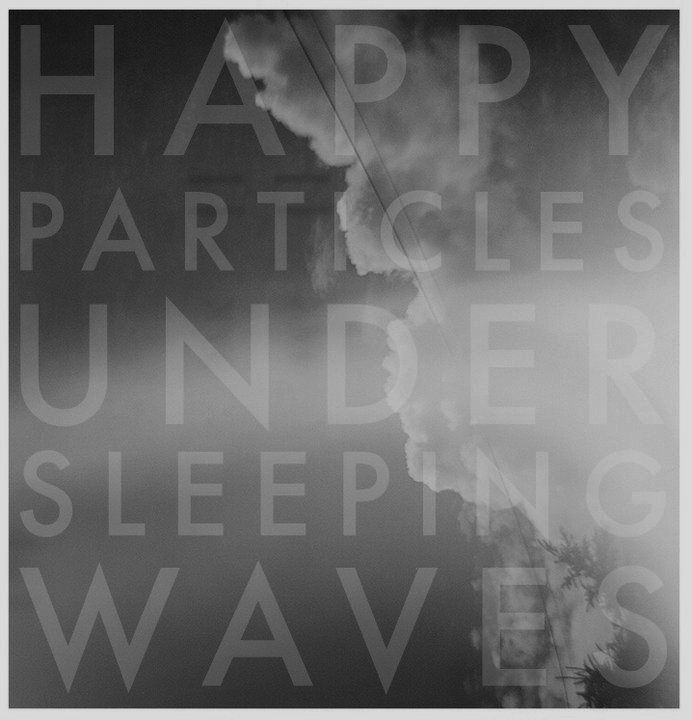 This entry was posted in Bands We've Chatted With and tagged Happy Particles.